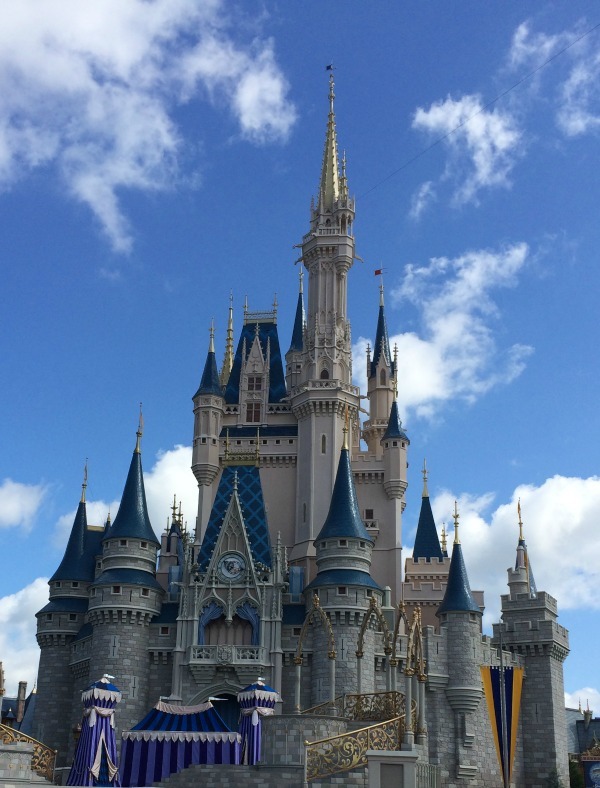 In three visits to Walt Disney World, we have visited Magic Kingdom plenty of times. We have done countless things on multiple occasions and there is still so much that we haven’t seen on done. 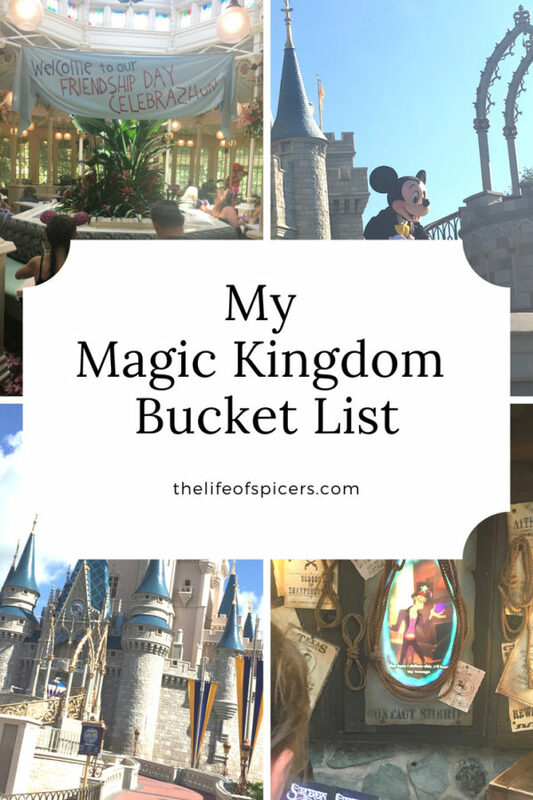 I’m always adding to my Magic Kingdom bucket list as attractions etc are added. 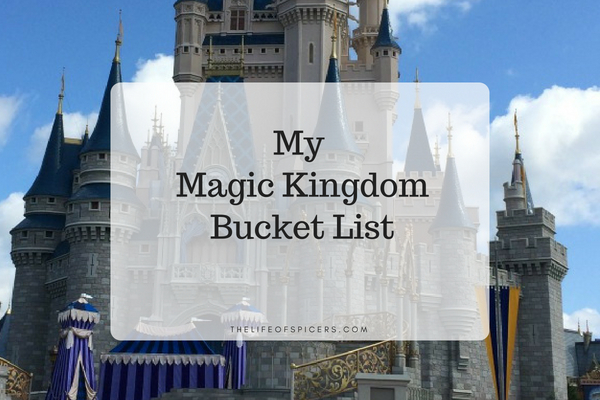 I already have some firm favourites in Magic Kingdom that I really enjoy trying every time we visit. 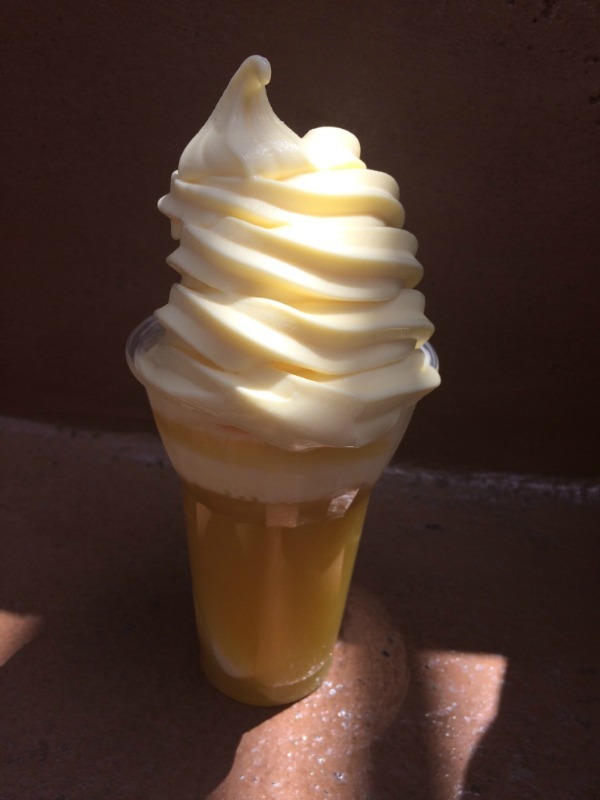 The ultimate of course is the dole whip float. That pineapple juice is just so refreshing on a hot day in the Magic Kingdom. On our last visit cinnamon buns from Gaston Tavern became a little bit of an obsession. They are so big and easy to share for a quick breakfast when we’re on the go. Couple that with a Le fous Brew and we are sorted for a busy morning in Magic Kingdom. On my list to try however is a Mickey’s sink from the Plaza ice cream parlour on Main Street. I cannot believe that we have never been in the Plaza Ice Cream parlour, but for some reason we are never in the vicinity when we’re stopping for an ice cream. I also really want to enjoy a meal in the Columbia Harbour House. I hear good things about the chicken pot pie and am hoping to try this on our next visit. I also want to experience a flat bread from Pinocchio Village Haus. The more I read about Magic Kingdom, the more I want to experience some of the tours on offer. There are a few to choose from, but I definitely want to experience the Keys to the Kingdom tour on one of our visits in the future. Attractions change all the time with new ones being added and some being retired. We were really lucky with our first visit in 2014 as New Fantasyland had not long opened and there was also the introduction of Seven Dwarfs Mine Train. We were oblivious to the hype surrounding these openings before our visit, but we experienced everything with the help of Fastpass+. On my list to ride is Astro Orbitors in Tomorrowland, as I can imagine the views from up there in the sky would be amazing. I also want to ride the Liberty Square riverboat. I’m not even sure why we haven’t been on this before, but I think we must always be walking quickly through Liberty Square on our way to something else. 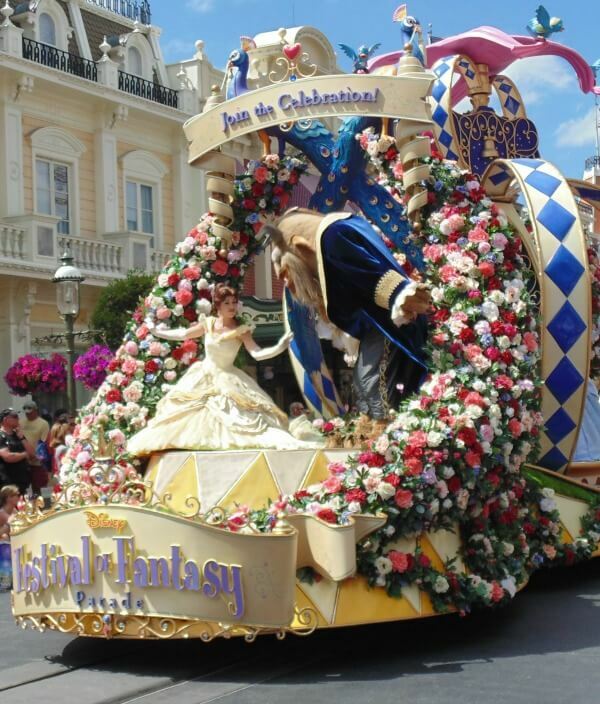 My absolute favourite parade is Festival Of Fantasy Parade but try as we might, I have only managed to watch it in full once. We tend to visit Magic Kingdom first thing in the morning, spend the morning and return to our resort for a swim in the afternoon. This means we often miss the 2pm parade, so I know I need to plan accordingly for our next visit. Top tip for Festival of Fantasy parade if watching along Main Street is to sit on the left hand side of the street facing the castle as it’s in shade at this time of the afternoon. The other side of the street has no relief from the hot sun. Magic Kingdom has some fantastic shows. The new castle show Mickey’s Royal Friendship Faire was introduced in 2016 and we haven’t managed to watch it in full as of yet, so this is definitely on the list for our next visit. We also very recently realised just how much fun Mickey’s Philharmagic show is in Fantasyland. It’s a great way to escape the heat and sit down for a little while. Magic Kingdom is home to the Emporium, which covers almost the whole length of Main Street. I’ve usually got a list of merchandise that I like to buy before we visit Walt Disney World. Last year on my list was a Cogsworth clock and Lumiere candle stick. This time around, I have my eye on the new Magic Kingdom You Are here mug from Starbucks. The design has changed since our last visit and I can’t resist adding to the collection. Visiting Magic Kingdom is an experience in itself if I’m honest, and one I’ll never tire of. I am always thinking of new and exciting things I would love to experience in Magic Kingdom. 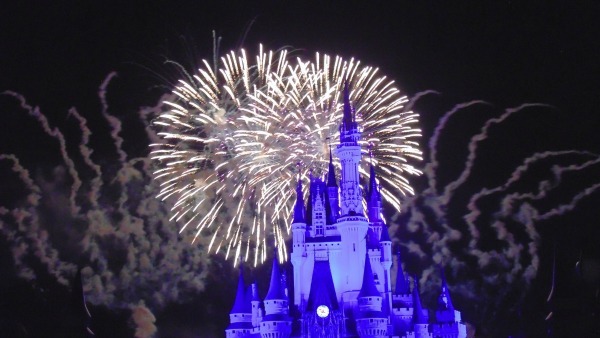 Currently on my list to try is to watch Happily Ever After fireworks from California Grill in the Contemporary resort. I think this will have to wait for a special occasion, but it’d definitely on my list. We enjoyed watching the fireworks on a speciality fireworks cruise last year and it was such a lovely way to watch the fireworks from outside of the park. 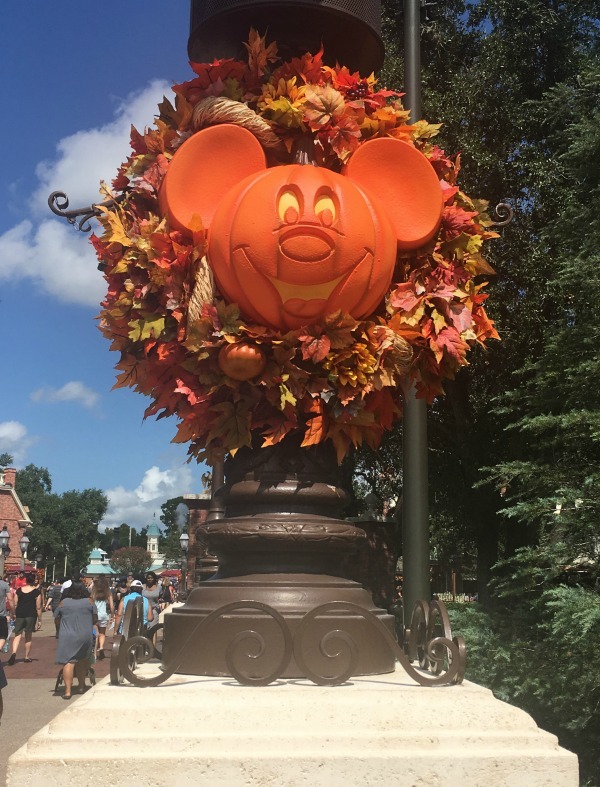 Our time to visit Walt Disney World is limited at the moment to the UK school holidays so experiencing seasonal parties has always been out of the question. One day I would love to visit over the Christmas period to attend Mickey’s Very Merry Christmas Party. We were lucky that on our last holiday in August, Mickey’s Not So Scary Halloween Party started on our last night. This may seem early enjoying Halloween in August, but it was a great treat for us to attend the party. If we were lucky enough to visit over the Christmas period in the future, I would love to see Cinderella’s castle be lit up for the holiday season. It would also be amazing to see Magic Kingdom decorated for the holidays. 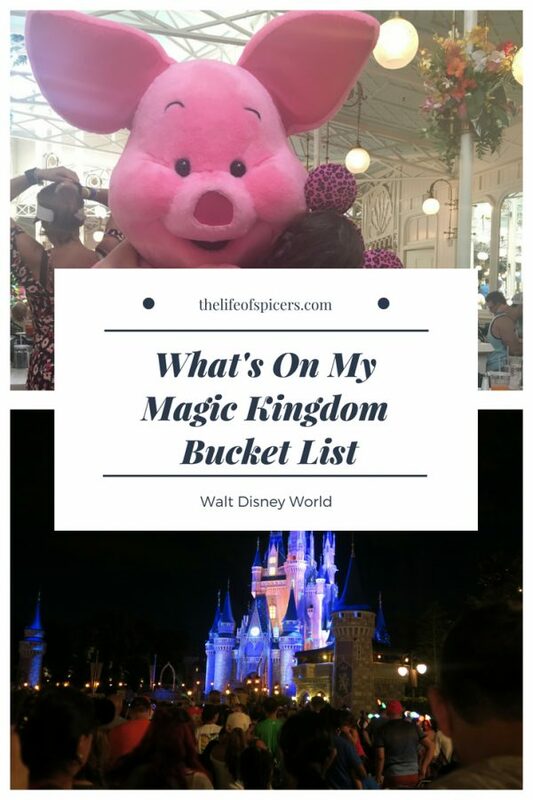 I am always adding to my Magic Kingdom bucket list but is there anything you think I should experience on a visit in the future?